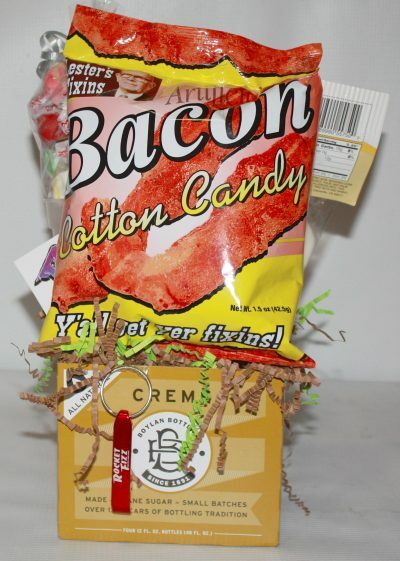 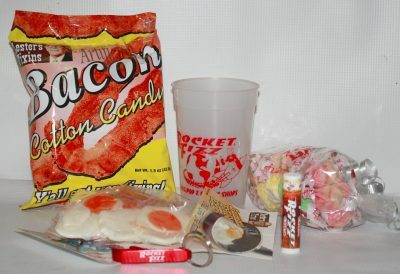 Sizzle your taste buds with these unusual gummy fried eggs and bacon cotton candy, Y'all get your Fixins! 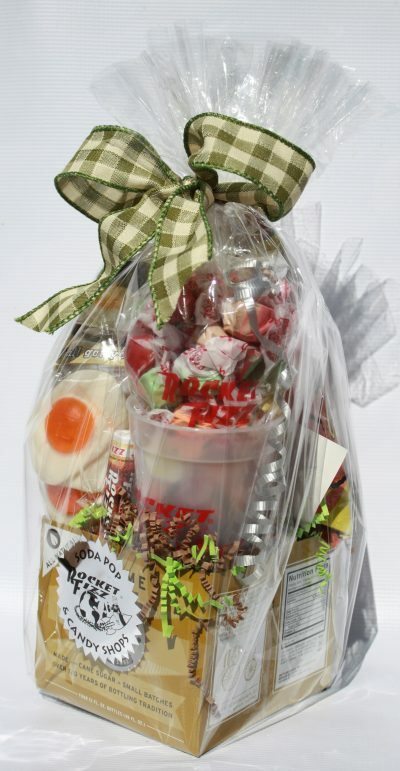 For the candy lover in the family or in the office. 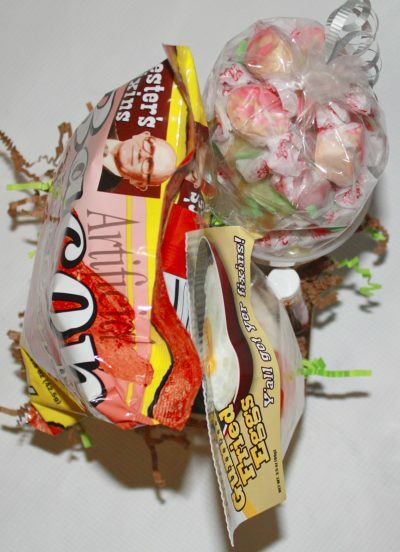 Show that you know exactly what to give this holiday season by sending this yummy selection. 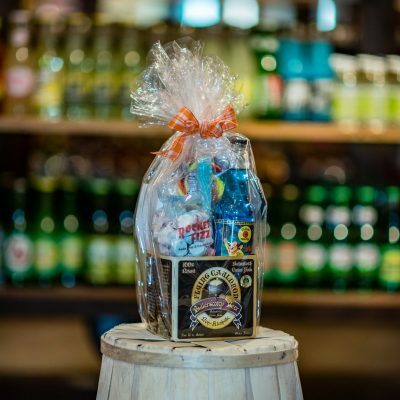 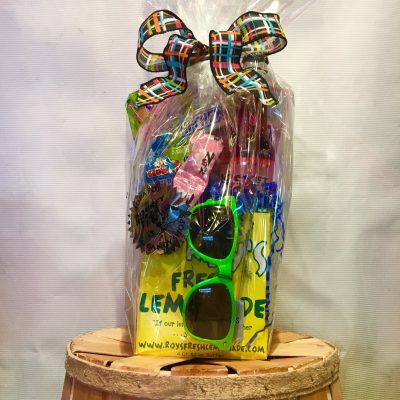 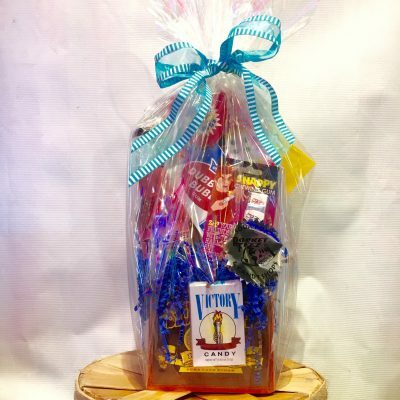 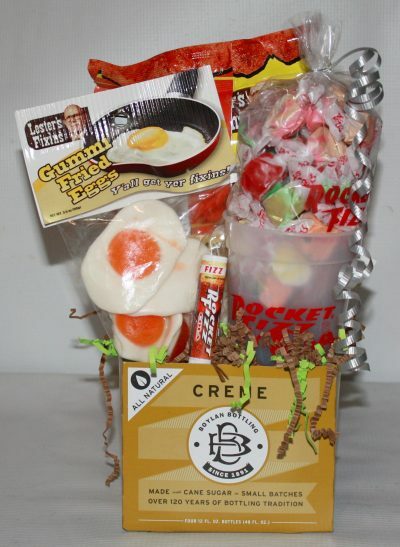 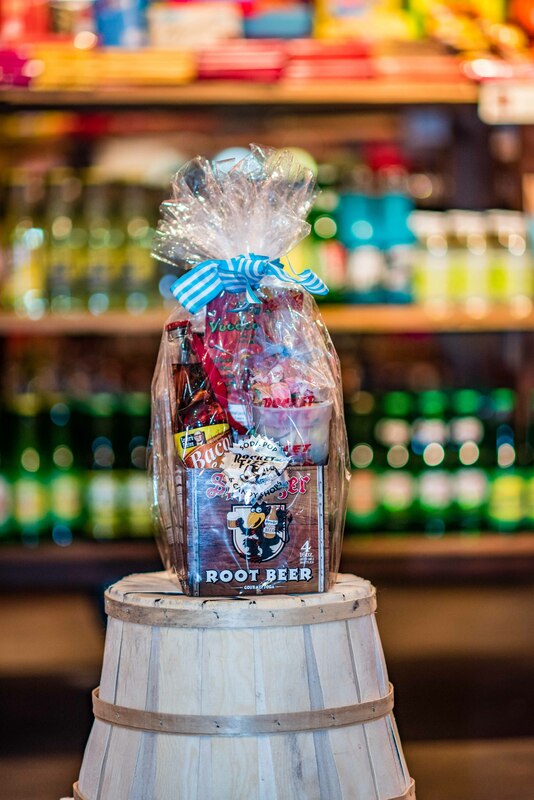 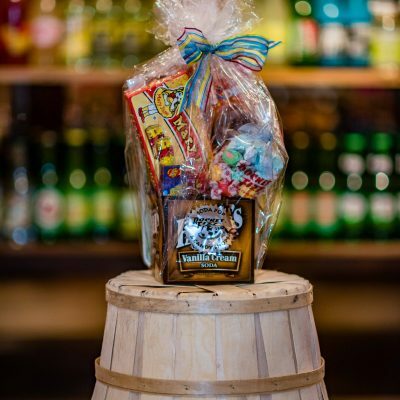 Stuffed with the Rocket Fizz team's personal favorites; this basket "will make it snow" with sweet and sizzle Fixins everyone will adore.